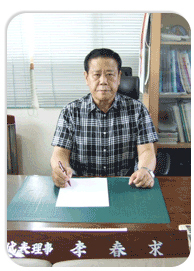 Thank you for visiting the website of the D S L co., ltd.
Our company has been concentrating its all efforts to manufacture and provide The best products the name of the Dongseo chemistry in 1997.
the patronage and encour- agement from other cooperative companies. - Our number one priority is our customers. - We keep our commitment like our lives. - Management is always thorough and complete. - We will be with our customers at all times. It promises that it will be the Dongseo Elastec co., Itd. Developing with the strict quality management and R & D.